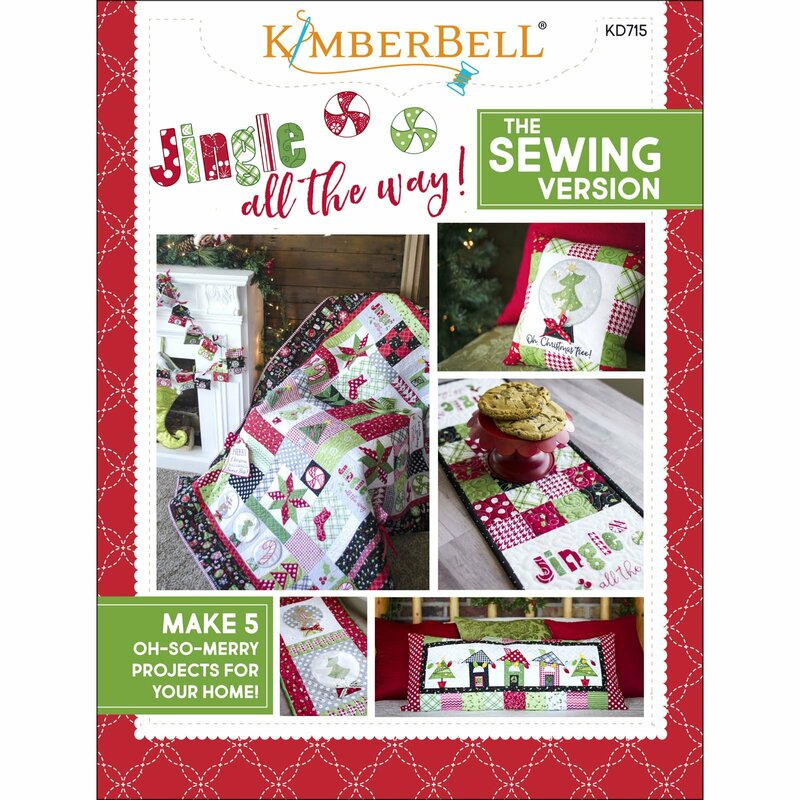 “Jingle All The Way” Sewing Pattern Book is a patchwork quilt of Christmas surprises. New techniques like chenille trees and vinyl appliqué are combined with Kimberbell’s signature style and traditional pieced blocks. Dimensional gift tags, ribbon, and embellishments add to the merry. The sewing book includes directions for making four bonus projects: Snow Globe Pillow, Snow Globe Trio Wall Hanging, “Jingle All The Way” Table Runner, and darling North Pole Neighborhood Bench Pillow.